Part of providing the highest quality dental care is in selecting the most qualified and best suited staff for my patients needs. I have the privilege of working with a team who is knowledgeable, professional, and who make our patients feel welcome and comfortable by showing concern and a sense of humor! We all work together to identify our patients goals and help them become a reality. Melanie is the front line of our office. She is the friendly, compassionate voice on the phone when you call and is usually the first person to greet you at our office. From your first call to our office to the end of your visit she strives to make your experience as easy and pleasant as possible. Melanie keeps the front office running smoothly and is prepared to assume auxiliary roles when necessary. She is always ready to assist you with any questions regarding the practice, your treatment plan, scheduling appointments, insurance reimbursement, or to discuss any financial aspects of your dental care. Her philosophy is, being attentive to the needs of our patients comes first. Melanie joined our "dental team" in 2008. She has a Medical Office Assitant/Transcription degree and worked in the health care field for 10 years prior to joining our office. Laura is a conscientious and gentle hygienist. She has the ability to teach and motivate patients of all ages to take charge of their oral health. Laura is guaranteed to put you at ease with her openness and genuine concern for your comfort. She is happy to have developed close relationships with her patients over the years. Laura prides herself on customized care for each of her patients needs. She believes "laughter is the best medicine" and will try to share that experience with you! 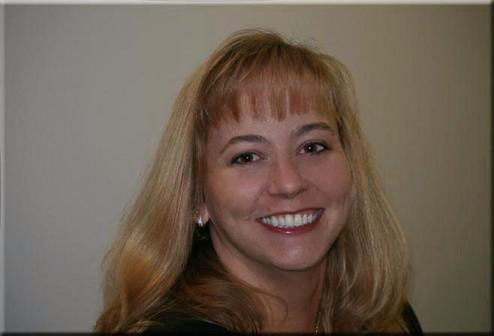 Laura has been a part of our "dental team" since 2006 and has over 15 years experience in the hygiene field. She obtained her A.A.S. degree in Dental Hygiene and is licensed to administer local anesthesia. Our new assistant, Lisa, joined our team in June of 2018. She enjoys assisting the patients with regaining a healthy smile. Lisa has excellent customer service skills and looks forward to becoming acquainted with all of our patients!